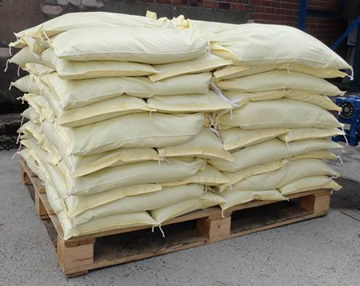 Over the past 4 weeks we have been called in to help supply both filled & empty Sandbags to councils, environment agencies, businesses & householders as areas in England & Wales became innundated�with flooding. Nearly 100,000 Woven Polypropylebne & Hessian sandbags left our warehouse on next day delivery services to help provide relief. We also supplied a number of Sandhopper portable filling machines & quantities of Helicopter Lifting Bags as featured on the BBC news.